Clockwork Satellite is a friendly design and technology studio. 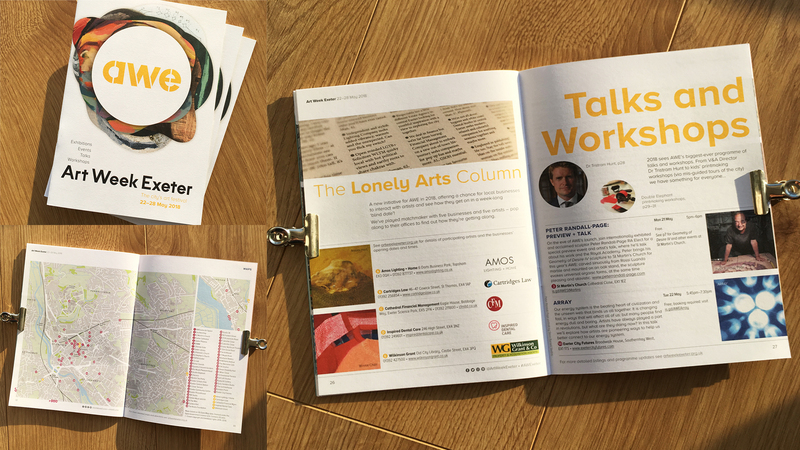 We're here to help you create and publish, in print and on screen. Art Week Exeter (AWE), 2016-2018. Branding, print and online. Browse the programme booklet archive. Burgh Island Hotel; 2017, 2018. 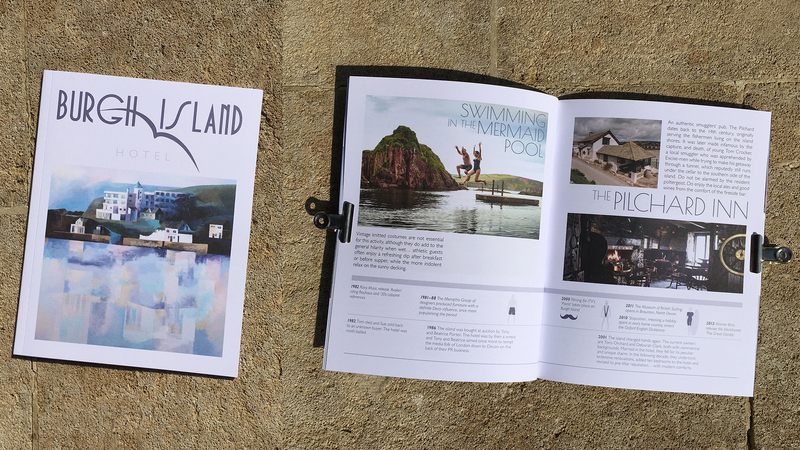 Browse the booklet. Every week, hundreds of thousands of people around the world open emails carefully crafted by Clockwork Satellite. 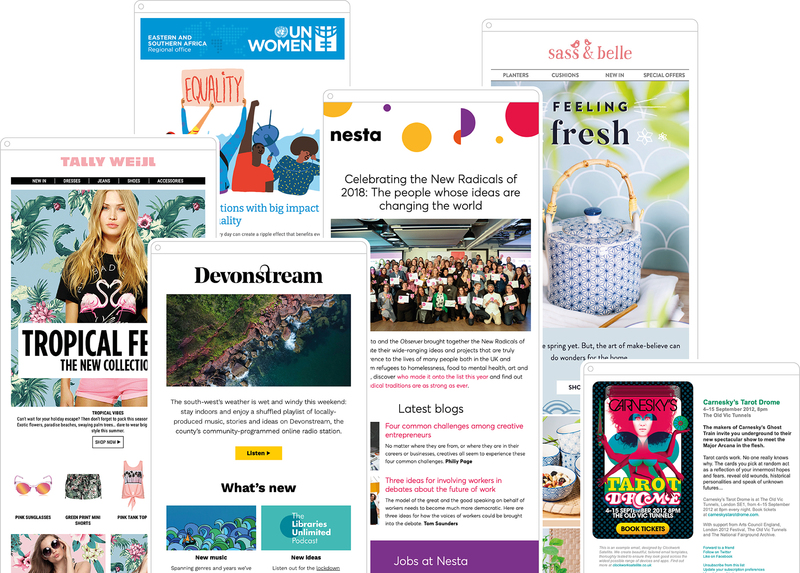 From US journalist Beth Kobliner, to global innovation foundation Nesta, to European fashion retailer TALLY WEiJL, we help clients overcome the tricky design challenges presented by email with clear, well-structured campaigns. Clockwork Satellite is a Mailchimp Partner. Our comprehensive, affordable workshops are led by an experienced Adobe Certified Instructor. There's a maximum of six per class so everyone receives plenty of attention. Our training takes place in accessible and convenient locations in city centres. Follow the registration links for further information on workshop content. Clockwork Satellite is a friendly design and technology studio. We're here to help you create and publish, in print and on screen. We work from Dublin, Ireland and Exeter, UK. We occasionally send out an email newsletter with details of new work, forthcoming training dates and interesting things that we've found. Sign up here. Your email address won't be shared with anyone else. You can unsubscribe at any time by clicking the link in the footer of our emails. Mailchimp is our email service provider. Clockwork Satellite (Ireland) Limited is a company incorporated in Dublin, Ireland, number 646761. Registered office: Ground Floor, 8-9 Marino Mart, Fairview, Clontarf, Dublin 3, D03 P590, Ireland. Clockwork Satellite (UK) Limited is a company registered in England & Wales, number 08981965. Registered office: The Generator, 11-15 Dix's Field, Exeter, EX1 1QA, United Kingdom.